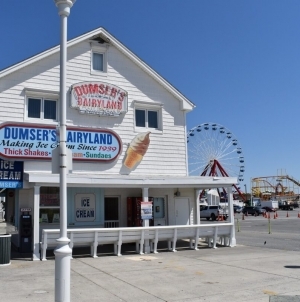 A little insider’s tip: The boardwalk is one of the best places to go for a run, even in the summer. So is the beach. Going on vacation doesn’t have to mean losing sight of your health and fitness goals, and if you’re willing to put in a little bit of time and energy, you can reap the benefits of a beachside workout. 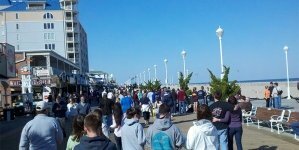 The boardwalk is about three miles long, and early in the morning, it’s a jogger’s paradise. 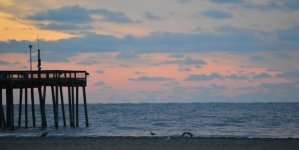 In the summer, arrive before 7 a.m. to beat the crowds, and, as a bonus, enjoy a picturesque sunrise over the beach as you run. 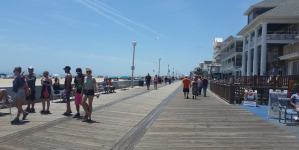 Local runners say they enjoy using the boardwalk because all of the stimulation it provides distracts them from the task at hand – so basically, instead of thinking about how sweaty you are or how much distance you have left, you’re looking around at all the scenery, the colorful shops and the passersby. If you’re up for more of a challenge, try running in the sand: according to a Belgian study called “Mechanics and Energetics of Human Locomotion on Sand,” running in soft, dry sand requires 1.6 times more energy than running on a hard, flat surface. 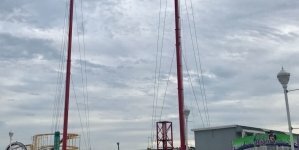 This is because of the mechanical work required to get through the sand and the tendons’ and muscles’ ineffectiveness in working through the sand’s unpredictable terrain. You also can intensify your workout by going barefoot: you’re minimizing the impact on your knees and exercising your feet and ankles – your feet are forced to grip the sand, which activates all kinds of small muscles. Just remember to go early, before the sand gets too hot! Plus, if you workout near the shoreline, you have the ocean’s instant heat relief. Win, win. Not up for a run? No worries. The before-7-a.m. rule (maybe 8) applies to this one, too, unless you don’t mind weaving in and out of boardwalkers, which can be especially difficult in a surrey. And if you’ve ever been to OC, you know what a surrey is: a four-wheel, 2-6 person bike that’s essential for a family workout. 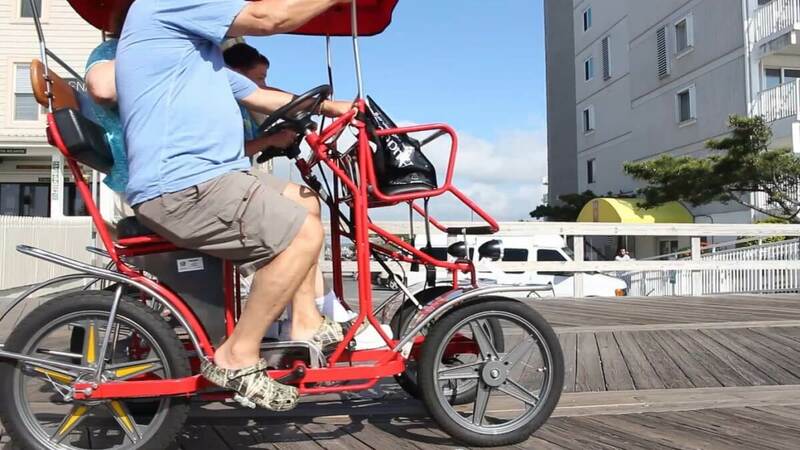 There’s a multitude of rental stores for regular bikes, scooters and surreys up and down the boardwalk (and even places to rent segways, though that won’t exactly get your blood pumping). All you need is a mat, and maybe a flat place in the sand to lay down said mat. And a bottle of water. Please remember to bring water when you go out, because drinking saltwater is not recommended. Do some research, because several yoga studios in the area offer guided yoga and meditation on the beach. But of course, if you’re already a pro, you can always guide yourself for free. Feel free to use the beach to fit whatever workout needs you may have, whether that be beach volleyball or swimming against the tide (just kidding, that’s dangerous. Don’t do that). In case you’re an exercise novice, here are a few beach-friendly exercises to make routine or add into your daily run. Burpees: Stand up straight, drop into a plank and do a push-up, then hop back onto your feet and jump high into the air. Sometimes referred to as a squat-thrust, this is an aerobic and strength-training exercise. Plank drags: Assume the planking position and walk your hands forward 10 paces or so while your legs drag behind you. This will strengthen your core and build up all kinds of muscle. Inchworm push-ups: This one is another great muscle-builder. Start standing, and place your hands on the floor (try to keep your legs straight, but it’s okay to bend your knees a little). Walk your hands outward until you’re in a plank, do a push-up, and now walk your feet to your hands. Get creative. No matter what exercises you incorporate unto your workout routine, the sand’s resistance will automatically make it that much more intense.